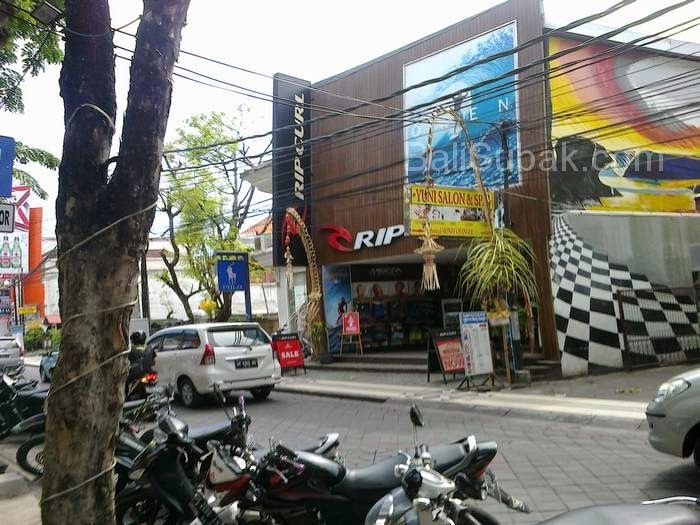 Ripcurl store also exist in Jalan Legian Kuta Bali. With the characteristic red and wave logo, Ripcurl are displayed vertically and horizontally. Bollabong store also exist in Kuta Jalan Legian. This store also installed vertically and horizontally letter. With black color on the wall. Two of these stores, (Ripcurl and Billabong) located adjacent to each other. Being very close to the monument of the Bali bombing. Being on the right street, if from the north. Ripculr are in the north, while Billabong is in the south. Billabong store located right in front of the monument of the Bali bombing.